What was the original vision for Techstars, when you started? How has that vision changed and evolved to where it is now? Techstars Ventures– any concern that it sends a bad signal for those cohort companies that the fund does not invest in? What does winning look like for Techstars? How do you measure success? 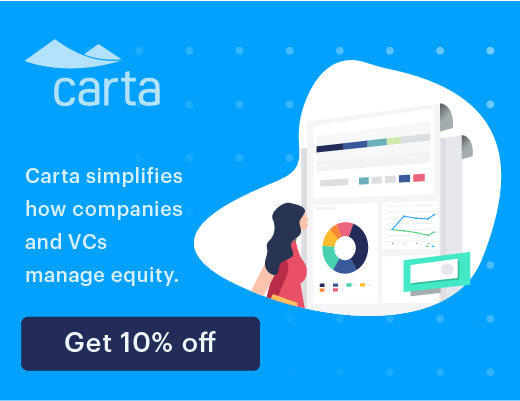 Do you measure common VC fund metrics like TVPI, DPI, IRR, etc? Do you compare yourself against the other top accelerators? If so, where do you excel? Started Techstars Anywhere in 2017, first full class in ’18… How does one run a remote accelerator w/ the same quality of an in person one? I’m going to put you on the spot here– some founders do not have a positive experience going through Techstars or other accelerators for that matter. What type of founder is the program a great fit for and what is it a poor fit for? I’ve noticed a focus both from you and Techstars on Mental health and wellness– what are your thoughts on this area as an opportunity for startup innovation? How about the Cannabis industry. You’re based in Boulder– what are your thoughts on the sector and opportunity for founders? Techstars’s FounderCon Europe 2018 was less than 2 weeks ago– What would you say is the biggest difference you’ve found when working with European startups vs ones in the US? What do you think Techstars looks like in five years? How do you balance time spent between companies that are succeeding vs. those that are failing? If you were to do it all over again, what would you change? What have you learned most about yourself through your experience at Techstars? 1. The initial vision for Techstars was to a) improve the entrepreneurial ecosystem in Boulder and b)find a better method of angel investing. 2. Over time, the vision has expanded to a forming a global network of entrepreneurs, investors and programs. 4. In the early days, startups got $12k-$18k when admitted to the program. Today that number is $120k. 5. The structure, mentorship and cohort model is largely unchanged. 6. The fund is integrated with the accelerator. It invests in every cohort company. In terms of follow-on, they have a co-investment approach, investing in graduates that have an institutional lead. 7. With Techstars rapid growth and increased mentorship, they now source 5% of Series A in the US. 8. What started as an accelerator program alone has now expanded to a committed venture fund and event-series including over 1000 events per year. 9. Many of the world’s best startup companies grow up in SF or Boston but are actually started in smaller cities with few investors. 10. 11% of all Series A’s in the US come through one of the top three accelerator brands. Techstars and YC each account for 5% and 500 startups accounts for ~1%. 11. In the Accelerator space, Techstars’ differentiation is its global focus. Their 40 MD’s live and work in emerging markets and have passion to build the entrepreneurship community there. 12. Techstars culture is to give first, be helpful, don’t have an expectation of return. 13. Techstars anywhere, a remote program, started in 2017 and ran their first full cohort in 2018. 14. Entrepreneurs who cannot come to the US due to family, health, or immigration complications opt into the ‘Anywhere’ program. 15. Anywhere program companies do have in-person experiences at the beginning, middle and end of the program. 16. Founders who come into the accelerator with unrealistic expectations, such as guaranteed funding, will come out of the program unsatisfied. 17. The ‘Equity Back Guarantee’ allows founders to take equity back at the end of the program. This happens 1.5% of the time. Often this applies to startups that expect to get a deal with a corporate partner, affiliated with the specific program, that ultimately do not get a deal. 18. Utilizing machine learning for Mental Health and Wellness is an untapped market. 19. Techstars runs a program called ‘Fail Club’ that any founder can plug into if they have a fear of failing. 20. Techstars has not done much investing in the Cannabis industry. They stay away from founders completely focused on Cannabis although have done some investing on the edge. 21. There are more dispensaries than Starbucks in Colorado, by a wide margin. 22. A Lesson that David would add to his book, Do More Faster, is that not everyone should raise Venture Capital; it is for a select group of founders and many should leverage other resources such as university and government grants. 23. Outside the US, it is considered “classically arrogant” for founders to be direct and straightforward with VCs. 24. In places, such as Dubai, it is too aggressive for founders to lead with accomplishments. They must lead with humility and what the impact they’re trying to have in the world. 25. Going forward David thinks Techstars will have more diversification of their products, more global reach, across more countries and they also may participate more at later stages. 26. Contrary to the belief of cutting losses to focus on winners, Techstars uses their ample resources to continue helping entrepreneurs who are struggling. 27. 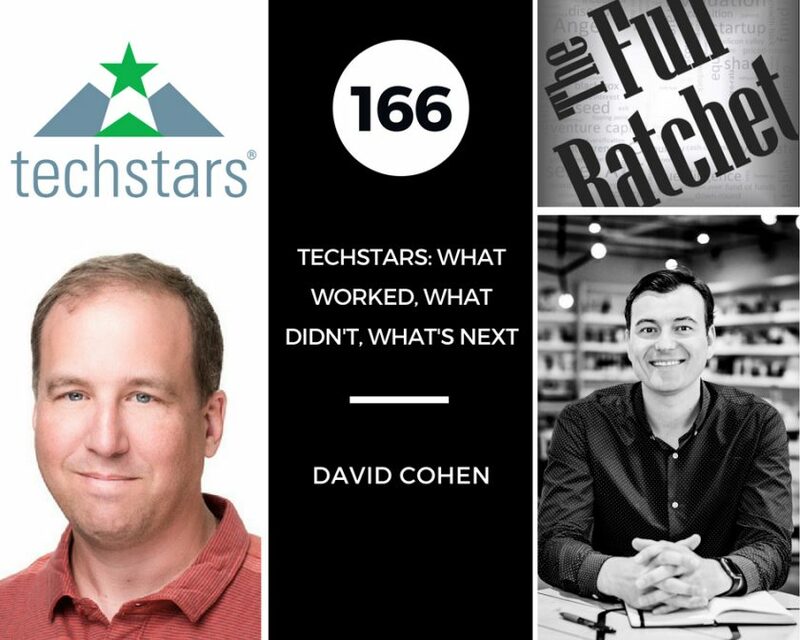 If he could do it again, David would have more “ringers.” He noticed competitors that found successful startups and gave them a deal in order to add their logo to the accelerator and tell some good stories. 28. Techstars had the first accelerator-backed company to go public, Sendgrid in 2017. 29. David Cohen focuses on strategy and David Brown executes. 30. A key lesson that he’s learned as CEO of Techstars is that there is often not a “forever CEO.” There may be a startup CEO, a scaling CEO and an IPO CEO. 31. Much of the VC Industry is about being showy. Many of the loudest, most hand-wavy folks with the bright shiny object are good at attracting LPs and entrepreneurs. David is the shut up and perform type.